Space economy is the full range of activities and the use of resources that create value and benefits to human beings in the course of exploring, researching, understanding, managing, and utilizing space. The OECD Space Forum provides a definition of global space economy that comprises the space industry’s core activities in space manufacturing and in satellite operations and other consumer activities that have been derived over the years from governmental R&D. It includes all public and private factors involved in developing, providing and using space-related outputs, space derived products and services and the scientific knowledge arisen from space research. Artist’s view of three Tracking and Data Relay Satellites (TDRS), the ISS and Hubble Space Telescope orbiting Earth. – Credits: NASA/Goddard Space Flight Center. The space sector has distinguishing features such as the use of cutting edge technologies and longer terms for both project development and return on investments. It is a government dominated sector, as access to space is costly, involves technical risks and the viability of space enabled services requires large users markets. Linkage to defense is deeply rooted since the very beginning of the Space Age, as during the Cold War space activities were also a tool of political and military confrontation between USA and USSR. Nowadays, despite the growing importance of commercial space sector, the use of space for defense purpose remains prominent thanks also to space technologies that have both civil and military applications like weather forecast, which can also be used for early warning, remote sensing, with its applications in intelligence, and global navigation, a precision targeting system. Main customers of space-related products and services are still Governments, investing in a wide range of activities due to the value of space for strategic, economic goals and national prestige. Public investment constitutes the main source of financing for technological development related to major space projects, supporting R&D expenses over the whole value chain. Space manufacturing is particularly dependent on institutional civil and military investment. The traditional massive involvement of public actors in space can be explained with the particular features of this sector, whose complexity and economic parameters might sometimes discourage the private sector. In fact, a profit-maximizing firm shall likely invest and establish an efficient, cost-effective business model targeting a lucrative segment of the market, while a Government might address to other results that don’t depend on profitability. However, the increasing number of private entities currently engaged in space activities is gradually operating a shift in the traditional roles of public and private sector. Cosmo-SkyMed dual use system. 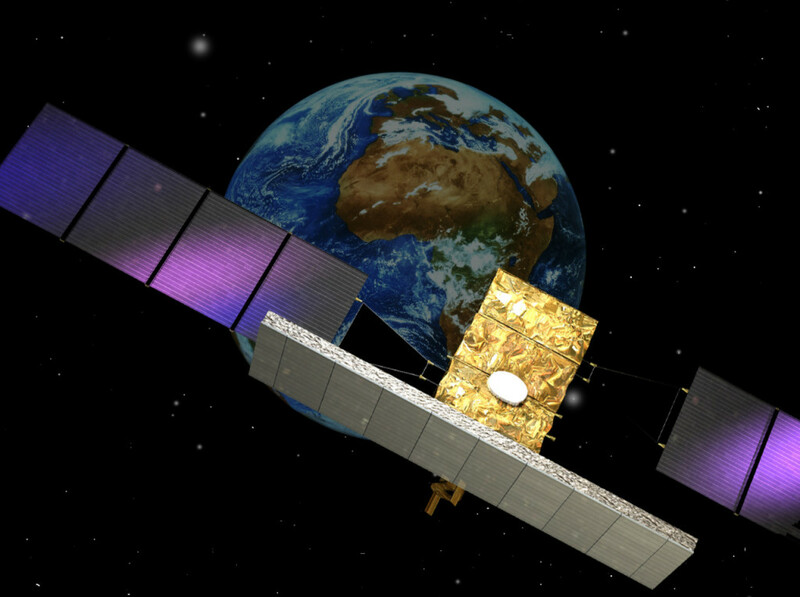 The Italian Cosmo-SkyMed mission is a four-satellite constellation, each equipped with an X-band SAR sensor. – Credits: ESA. 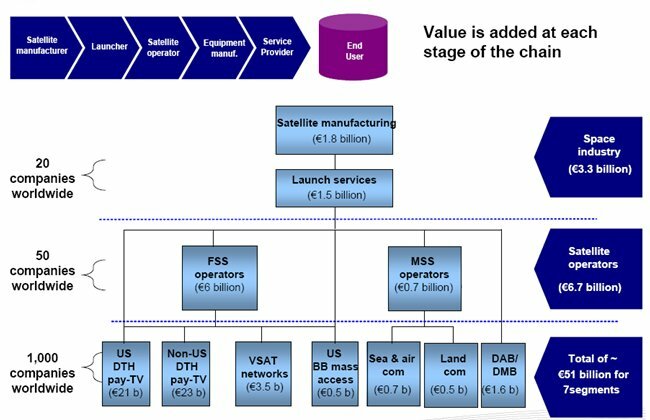 As indicated by the OECD, main segments of space economy can be schematized in manufacturing, services from satellite operators and consumer services. The space manufacturing supply chain includes different kinds of actors involved in the production of space systems. “Primes” are responsible for the design and assembly of complete spacecraft systems, which are delivered to the governmental or commercial users (e.g. telecommunications, Earth observation satellites, launchers, human-rated capsules, and so on). “Tier 1” actors are responsible for the design, assembly and manufacture of major subsystems, such as satellite structures, propulsion subsystems, payloads. “Tier 2” are manufacturers of equipment to be assembled in major sub-systems and “Tier 3 and 4” include producers of components and sub-assemblies, specializing in the production of specific electronic, electrical and electromechanical components and materials. Satellite operators own and operate satellites, providing telecommunications, fixed and mobile satellite services, satellite radio services, remote sensing. Consumer services include actors, usually outside the space community, which rely on some satellite capacity for part of their revenues. They encompass direct-to-home satellite television service providers, satellite navigation consumer equipment and value-added services. To indicate the stages of the production process thoroughly encompassing its activities, the space sector uses the same business terms applicable to several other industries, “upstream” and “downstream.” Upstream work is focused on sending objects into space and space exploration, while downstream utilises the research and technology from upstream in a range of different applications. The upstream encompasses the provision of technology such as space prime contractor, contract R&D, space component supplier, and space subsystems. The downstream covers the exploitation of technology such as satellite broadcast services, Earth observation, financial services and satellite communications. Downstream actors are the companies providing commercial space-related services and products to the final consumers. These companies are generally not connected to the traditional space industry, as they only use space signals and data in their own products, typically concerning communications, satellite television, geospatial products and location based services. Upstream and downstream activities as a whole contribute to shape the overall space value chain. A value chain is the whole range of activities, including design, production, marketing, logistics and distribution to support to the final customer, that organizations engage in to bring a product to the market, from conception to final use. Each step adds some form of value. The space sector is lately attracting much more attention worldwide, as public and private investors look for new sources of economic growth and innovation, and space economy has become a relevant domain for high-tech innovation, commercial opportunities and strategic purposes. Different kinds of activities, inputs and processes contribute to shape the global space value chain. The global space industry has grown steadily in last years, with global space activities amounting at $314.17 billion in 2013. More than 60% of space-related economic activity comes from commercial goods and services. 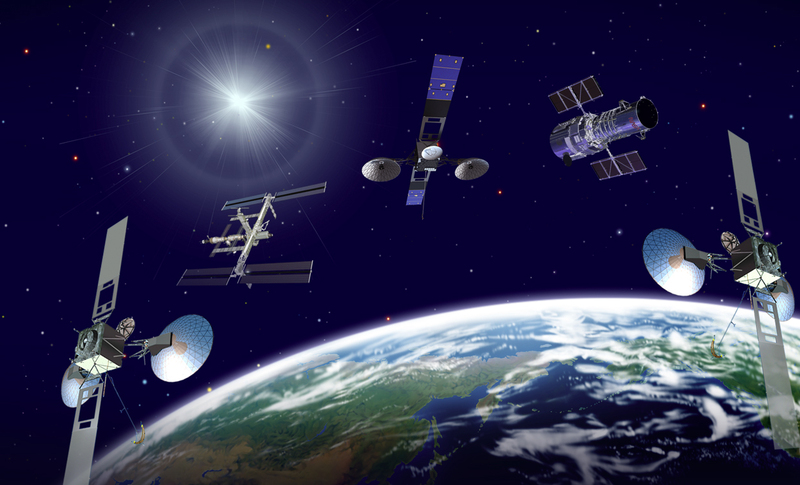 Commercial space infrastructure and support industries include satellite manufacturing, launch services, ground stations and related equipment, while commercial space products and services encompass satellite broadcasting, communication, Earth observation, geo-location, and global navigation equipment and services. The latter is one of the space industry’s fastest-growing sectors. DTH (Direct to Home) television services represent a majority part of revenues in the commercial space products and services sector. Satellite communications market is composed of satellite operators, which lease out the transmission capacity of their satellites to private and government clients in need of transmission capability. This sector can be divided in fixed satellite services (FSS) and mobile satellite services (MSS). FSS refers to the delivery of satellite communications to stationary ground receivers that can be moved from one location to another but do not work while in transit. Capabilities offered by MSS are similar, but the communication link connects with mobile receivers, such as satellite telephones or in-flight communications. Satellite technology enabling Earth observation and imaging services constitutes a small, but very important part of the global space economy, providing a wide spectrum of applications in different fields; the largest revenue growth occurred in defence, intelligence and in the sectors of energy and natural resources. The Space Value Chain. – Credits: ESOA (European Satellite Operators’ Association). Space systems play an increasing role in the functioning of modern societies, their strategic order and their economic development thanks to the use of satellite technology in navigation, communications, meteorology and Earth observation. Space technologies also affect agriculture planning, disaster management, medicine, land monitoring, transportation and urban planning. Its manifold fields of application make space an engine of economic growth. Despite the economic crisis, institutional space budget faced less decrease than other productive sectors. OECD underlined that, even though space often has a reputation of being an expensive industry, all G20 Countries invest in their respective national space program a very small percentage of the GDP (Gross Domestic Product). The benefits provided by the use of space assets range from qualitative aspects, such as strategic advantages and improved decision-making processes based on satellite imagery, to monetarily quantifiable ones, such as cost-efficiency and increased safety derived from using satellite navigation tools for ground, maritime and aviation applications. Scientific and technological innovations are making space applications accessible to more people, being vehicle of social and economic growth also for developing Countries. The importance of space for everyday life and the various domains affected by its use explains why a steadily increasing number of countries and public and private actors are getting involved in global, often international, space activities.